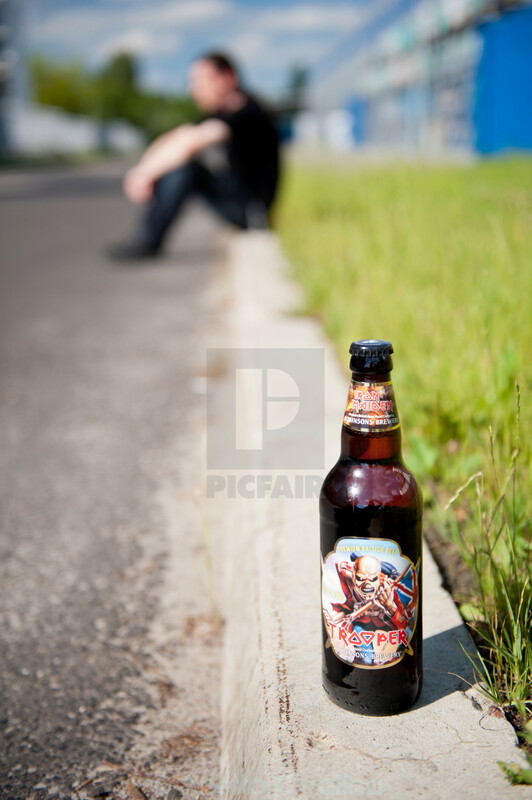 Iron Maiden beer full bottle, premium British beer hand crafted, Robinsons Brewery, closed glass bottle on curb, vertical orientation. Rights managed. Editorial only.